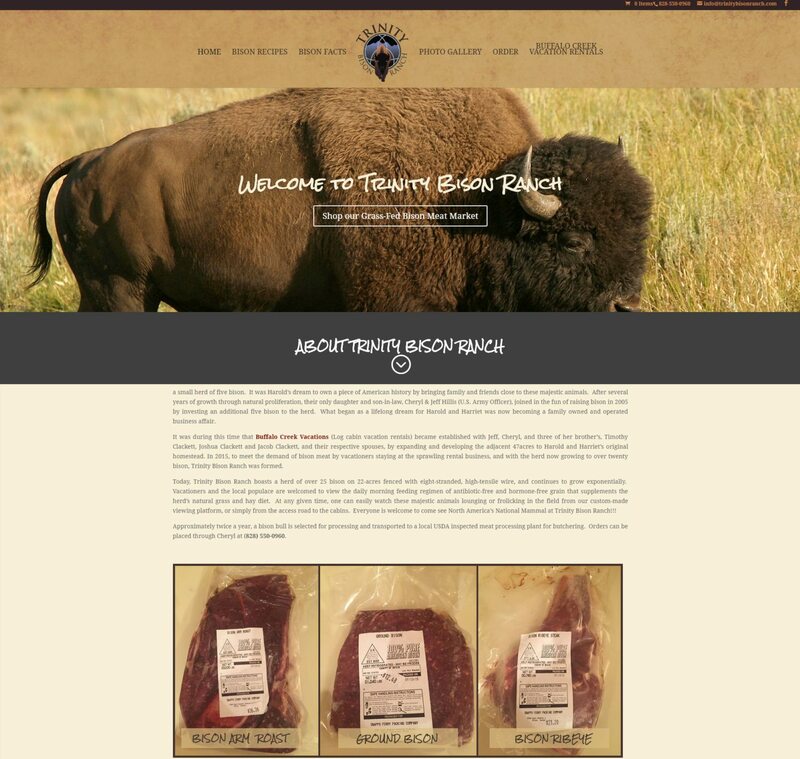 Trinity Bison Ranch is a custom WordPress e-commerce website that sells bison meats online. Trumpet Marketing designed and created a home page that sports a stunning images slider and it’s easy to navigate menu allow patrons to navigate the site. The secure “Order” page allows online customers to select items and make online purchases safely with a straightforward order form.